-Mr. Territo will be providing our lunch program as of Monday, October 15th. -The School Store is currently Closed. We will try to re-open in Spring. -if you have placed an order, they will arrive on/before October 29th. Participation is not mandatory, but is much appreciated ! Option 1- $50.00 full year payment. This payment is due by November 1st and covers all class parties (Thanksgiving, Christmas, Valentines Day, Easter and End of Year). It also covers the class donation to the schools Christmas Fair and Gift for Teacher as well as the class donation to the Basket Auction and End of Year Teacher gift. Option 2- $25.00 partial payment. The first installment of $25.00 is due by November 1st. 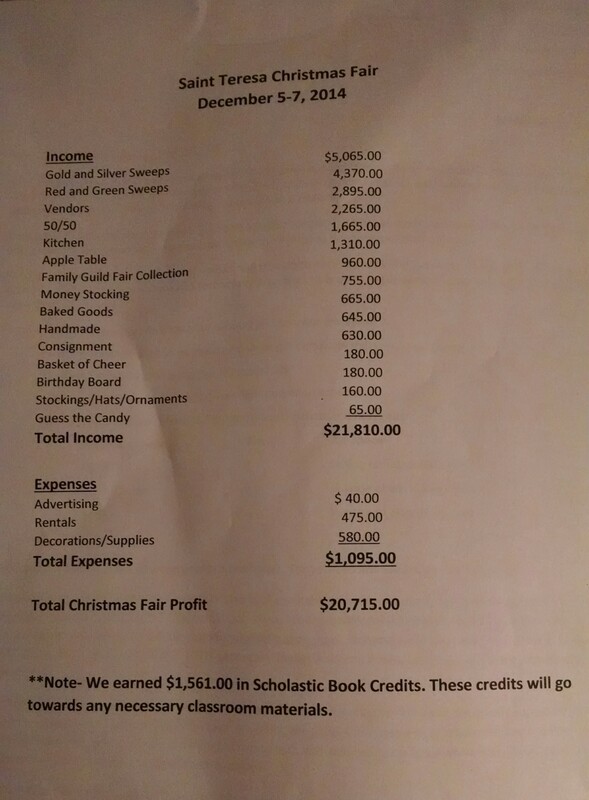 It covers the Thanksgiving and Christmas Party, the class donation to the Christmas Fair and the Gift for Teacher. The second installment of $25.00 is due by February 1st. It covers the Valentine’s Day, Easter and End of Year party as well as the class donation to the Basket Auction and End of Year Teacher gift. Trunk Or Treat – Wednesday, October 31st. Jersey Shore Outlets Shopping Trip – November- Poll on Facebook coming soon for interest. HSA Wishlist – Please Donate Any Items on Our Wish List. All HSA Meetings begin at 7pm and are held in Lower Church Hall (lunchroom). For your convenience, there will be a morning meeting in November and again in February. Be sure to attend in order to receive credit towards your Strive For Five hours and to earn a N.U.T. card (no uniform today) for your child. Obtaining a N.U.T. card entitles your child to a dress down day on the date specified. This dress down is a full dress down, not a gym uniform only dress down like School Spirit Days. Nut card must be brought to school on the day of the dress down. Earn 3 hours towards your Strive For Five by attending all HSA meetings during the year ! There are many other events that take place during the school year which we are still in the process of planning. Events like our Mother Daughter Day, Father Daughter Day, Plant Sale, Grandparents Day, Mother Son Day and many more ! Keep an eye on your child’s folder and on our Facebook page for more information. Welcome from Principle Simione. She provided a quick recap of Cardinals Visit. We had another successful Mother and Daughter Brunch! You can see pictures on our Facebook page. Decorate your car- be sure to bring enough candy for the entire school! 6th-8th they have a party but do get a chance to go outside. T-Shirt and Hoodie Orders– Due November 1st– Form can be found online on our site. T-shirts, once purchased can be worn on Mondays. School spirit Mondays – Teachers and Staff will all wear shirts and then do something school spirit wide. Dine Out Night- Arirang, November 9th– Next day is no school. 15% back to STS for all families that go in with Flyer. Holy Name Spaghetti Dinner- Bring your appetite and join us for our wonderful annual Sunday October 29th, Lower Church Hall 1:00 pm to 6:00 pm. Come have a traditional full course Italian meal with your family and friends for only fraction of the cost! Adults $10.00, Children $8.00, Carry-out $1.00 extra. For information, please call Joe Patella at 917-453-0058. or at jpatella@akllp.com. Scripts Program – We sell gift cards through the school and we get a percentage of the gift card from 2-15% to STS. More info to come! Penny wars- Most likely start in the new year. Strive for 5- Jenn Costello- Volunteer Coordinator- 5 hours of their time- class parents, coming to meetings, sign up sheets for Christmas Fair, etc. Over 30 hours total- for fair, set up and break down- easy to complete Strive for 5. Please contact Jennifer Costello to sign up to volunteer! Friday- No vendors, only kid friendly activities, consignment table, Santa, Made from the heart, Games, etc. Selling Wreaths, Pointsettas, etc. We need a contact, if anyone knows of someone. Sponsors- If anyone knows of a company/business that wants to sponsor an area, we will put up signage and blast on Social Media. Met with Cardinal Donlan who said he was very happy with our State test scores at STS and couldn’t wait to attend the mass on 10/5. Air Condition will be coming to the gym over the summer next year. It has been a slow process because of all the issues with the roof, Con Ed, etc. By the end of school year there will be air put into each classroom as well. Principle Simione- Welcome and congratulations to the the 8th grade parents. Special thanks to HSA for all they do and please do try and volunteer and assist as much as you can. We have received a grant from Borough President Oddo for the purchasing of science books for our K-8 grades! We luckily had received over $8k in scholastic bucks to purchase more books and items for the science STEM lab. We really want to continue the solid foundation of learning at STS. STS did very well on state scores- every year our test scores are improving! Flyer will be coming out soon about the- Chess club which will be open to grades K-8 and will start after Christmas. Standing Ovation will once again be providing drama club with the Show- Wizard of Oz- Still time to register. Oct 5th– Cardinal Dolan will be attending St. Teresa to take tour of school- give mass at 10am. All are welcome and urged to attend. Holy Name Society- For the men of the parish – they assist in doing many great things for St. Teresa Church and school, including providing the food for Field Day last year! YAA– If you wish to get kids involved in sports- the YAA is one of the top programs on SI. New this year is CY Bowling. In an attempt to get parents more involved with fundraising events, providing assistance and generally being involved, the HSA sought out a program that has been implemented in many of the other Catholic schools in the area. We are asking for a modest 5 hours of service to the school. The attachments explain the program and how you can easily achieve the 5 hours. In order to successfully fundraise, we need help- realize that all funds earned at these events go back to school which in turn help keeps tuition down! The basics are- you volunteer 5 hours from now until May 2018 or $75 will be added to last tuition bill of the year. By being a class parent, you automatically fill that requirement! Coming to a HSA meeting you earn a ½ hour, volunteer for the evening of the Basket auction or for any of the 20 hours of the Christmas Fair! Class parent donations- pay all in one! See attachment below! Easy ways to help fundraise! HSA will soon put out the NEW STS T-shirt design and order forms. These shirts will be allowed to be work on Mondays with gym shorts. No old shirts are allowed to be worn- only new. However STS sweatshirt zip ups are allowed to be worn still. Penny wars- a fun new idea for fundraising – have buckets in each class asking all children to bring in pennies- then a count will be announced on who is in the lead. Children can then come in and bring in nickels, dimes and quarters that will be deducted from the amount each class has raised. A date will be set when a final tally will be made! More information to come. Students from pre-kindergarten through eighth-grade, wearing their school colors and joined by teachers, pastors and principals, gather along the beach-front promenade to raise money for STS. Each student who participates collects pledges and donations- the money is donated to the school. The gathering offers entertainment for everyone from tweens to pre-kindergartners. Expect DJ music, face-painting, clowns and other costumed characters. if you show up in uniform- 1 hour towards your STRIVE for FIVE. All catholic schools are in attendance, so we would like a good showing. Car wash- Normally in the fall, but we will most likely do in the Spring if Boy scouts are available to assist. Oct 15th– Mother Daughter Tea- at the Hilton for Brunch. Invites to come out soon, this year with better food options – sit down mean with dessert. It will be 4 hours. Trunk or Treat- 10/31- during school hours- you reserve your spot and then decorate your car – hand out candy, kids then vote on best car! Friday no vendors- just games and fun for the children. Vendors- Sat and Sunday, with Saturday being the tree lighting hosted by the Holy Name. HSA- Next meeting in November, although we will try and schedule one for October that will also include a wine tasting. Mother / Son- usually in Spring- not confirmed what and when we will do it – keep you posted. Father / Son event- Thursday, May 25th – Laser Tag- such a great time. Game Show night- We tried to do last year, but ended up doing during the day- great fun! Field Day- Towards the end of school – fun filled day of sport and competition! Class parents were chosen- click here to see the full list! Letter went home regarding ArchCare utilizing convent space. New Uniform- more info coming out; if you wish to continue using the current uniform you can. Drama and Art returning, Tutoring, etc. Welcome back with calendar of events for next school year. Principal Simione and Monsignor- Thank you for all support. Volunteers- appreciated we could never do this all without you. Very special thank you to Ms. Christine Albano- for all your years of service and time. You cannot be replaced! We will miss you! State tests are coming up- ELA first and then Math- Study guide packet examples provided. New Uniforms– Not mandatory, old uniforms will be phased out over time. The same shoes will be used. The Initiative that began as a pilot program with five schools in the spring of 2015 has since expanded to include 77 schools. The program emanated from Borough Hall and addressed the fact that there was no uniform curriculum for anti-drug education in the Island’s elementary schools. The program partners a teacher and an NYPD Police Officer from the local precinct to teach, guide, and mentor 5th graders about making good healthy choices. This program is unique in that the officer who patrols the streets interacts in a positive way with students they may encounter in the community while on patrol. This program builds unity within the community while promoting drug awareness and prevention. Archdiocese will be providing a similar program for the 2nd through 8th grade students. Grandparents/Special Person’s day– positive feedback, many enjoyed the experience; will do again with some minor operational changes. Father and Daughter Dance was at the Hilton Garden Inn, we received very positive feedback. Christmas Fair- Breakdown will be coming out soon. We made $22,500. Introduced some new things such as the games for the children- which was really enjoyed; although caused some issues with vendors. Will work on fixing for next year. The holy name Christmas Tree lighting really added a wonderful feel to the fair, we hope to do again. Book Fair– we raised enough to receive $3K in “Scholastic Bucks” which will be used to purchase school supplies, books, teaching kits, etc. Donation letters are available to bring with you around to the neighborhood. Volunteers are needed for the night of the Basket Auction. A Sign Up email will be sent out shortly. Dine out nights– Restaurants that give back a percentage to the school- we are looking to have one at the Manor Restaurant in March and then one in April at Jimmy Max. Mother and Son Bowling– April 1st. RSVP 3/24. Trying something new and different by having a truly interactive night for Mothers and Sons! Pizza and drinks included. The evening will begin with the Mother and Son 8th grade dance! Lip Sync Show– Response rate is low. Principal Simione really wants this to help build up the feeling of community at the school. A sign up sheet will be posted outside the principals office for any student that is interested in participating but wants to do it in a group. Plant Sale– May 11th. Flyer coming out soon. Plant and Party- May 12th. Click here for more information. Spring Sale- May 20th – Looking for vendors- Do your Spring Cleaning and grab a table and sell your new and gently used treasures. Tables are $40 if you bring your own, $50 for table and chairs. Click here for more info. Father and Son event- May 25th – An evening at the indoor extreme sports for lasertag. Spring Raffle Fee- June 10th – Spring Back to the 80’s Dance which will include a few grand prize raffle winners. Last year we had a dance, it was a great night. Waiting to hear back from the region but we would also like to do a Calendar raffle- picking a name out on random days – gives everyone a chance to win back some money. June 6th is next HSA meeting. Monsignor Belford provided the opening prayer. Report cards will be distributed on Monday, November 21st – on the half day. Implementing the new standards-based report card. A standards-based report card provides detailed information on how well a child is progressing towards mastery of year-end standards. The Archdiocese of New York has adopted the New York State (NYS) Standards which inform instruction and assessment. Learners are scored on their progress made toward mastery of those expectations set forth for each marking period. Why was the report card changed to a standards-based report card? The report card was changed to provide more information to parents about student progress. On a more traditional report card, students receive one grade in ELA, one in Math, one in Science and so on. On a standards-based report card, core subjects are further expanded by a list of skills and knowledge that students are responsible for learning. Students receive a separate mark for each indicator on a 1-4 scale. Parents already know what letter and percentage grades mean. Why change to another system? A standards-based report card gives more information than traditional letter or percentage grades, and reports how well the student is progressing towards achieving the standards expected for his/her grade level. It measures student performance in far more detail. Letter grades often do not reflect a student’s knowledge of the individual standards. What are the standards and where do I find them? Blended takes some of that time and says how can I target their needs to individualized and teaching and learning style. Engaged learning style- student interacting with their computers. Students working together- another way to understand the concepts. Blended format- better student teacher communication. Blended learning has transformed teaching and learning, creating a culture of personalized instruction for students and an environment in which all students are deeply engaged in and excited about learning. Blended learning combines online lessons with digital and person-to-person learning experiences coordinated by the teacher in a traditional classroom setting. The teacher plays a key role, and the students have some control over time, place, path and pace of their individual learning. The power of blended learning is its ability to provide targeted, small group, personalized instruction. It allows teachers to differentiate instruction to give each student what he or she needs to have an optimal learning experience. Research by the U.S. Department of Education shows that students exposed to both face-to-face and online education were more successful than students who learned in only one environment. In the archdiocese, we are using a blended learning model that has three instructional centers. Students work in small groups and rotate through the sequence together. Chromebooks- the computer programs adapt to meet the needs of every individual student. Allows a student to practice skills they struggle with or move ahead as they master content. Excellent online software for 3rd – 5th grade- currently using the archdiocesan blended program. ELA and Math software is available to use. Next step is for all other grades to have this kind of software. Explore options for use of smart boards. Considering building in some lunch and learns or after school for parents to learn more about how to use google tools and/or digital access for parents. Christmas Fair is coming! Last year we raised $17k towards our fundraising goals- we would like to try to do that again so we need everyones help! WE NEED VOLUNTEERS! WE NEED DONATIONS! Gift cards to restaurants, retail shops, nail and hair salons, etc. Other NEW items like toys for the children’s raffles, designer bags, home appliances, etc. The 10th is the Holy Name tree lighting, which will begin after the 4pm mass has concluded. There will be hot beverages served and we are hoping to maybe do some caroling. Vendor Spaces- We have some vendor spaces available for Friday and Saturday. Sunday is sold out. Contact Brian for more information. SignUp.com: HSA Sign Up for Craft Night! Craft Day in classes- Pre-K3 – 5th, kids and parents make a craft on 11/29. Information going home shortly to all. Class donations letter was sent home regarding the Christmas Fair. Winter Windowland Contest– Only 8 windows left at time of this posting. See flyer below for more information. Kids Korner Section at Christmas fair will include games for the kids. They will earn tickets and then be able to hand them in for prizes. We need help creating these games- PLINKO, Snowman Toss..check out pinterest to get some great ideas! Stop and Shop- register your card for STS- we have about 80 registered- so easy to do- last three initials of your name and your stop and shop coupon card number. It takes approximately 7 days for your information to be entered in our system. Please be advised that although your school selections may be changed at any time, only the selections in the system on the last day of the month will receive the total points accumulated for the whole month. Become an active member of the HSA, which will enhance child’s experience at St. Teresa School. Volunteer if you can, it builds self esteem, provides an opportunity for you to learn more about the school and our mission. Car Wash and BBQ- Volunteers needed. Kids and Parents to wash cars. $10 suggested donation. 7th graders will receive service hours for confirmation. Mother/Daughter Tea- Mass at 10am with tea to follow at the Hilton at 12pm. Sunday, Oct 23rd. Invitations will be released soon. Volunteers needed. Food- Donations needed for the café- Contact Christine LoPorto if you would like to donate. Craft Night- Made from the heart table. Parents night out- to build crafts, games, etc. Donations- Gift cards, baskets, etc. Need help soliciting. Suggestions- Please send in ideas. Stay Informed – Christine LoPorto- HSA has Facebook, this Website and Email at StTeresaHSA@gmail.com. Stay informed and log in, like and email us for all updates and information on the HSA! Media Relations – Contact Ms. Christine Albano if you have something STS newsworthy to be covered in the STS Newspaper! Ms. Donna Harkins, Ms. Maria Bianchi, Ms. Jennifer Costello, Ms. Donna Lauser and Ms. Cheryl Pfuhler. To those staying on- Ms. Christine LoPorto, Ms. Christine Albano and Ms. Tara Mineo. Also, thank you to all the parents who made me feel so welcomed. We have brought on a lot of new teachers- all have been very well made choices. Grades K-4 will have no changes in curriculum; Grades 5 – 8- ELA and SS / Math and Science – 90 minutes a day. Blended learning will continue since we are a pilot school. Ms. Novack- will continue working with teachers once a week. The addition of the 35 chrome books that were donated by Step Up will provide more individualized learning; using this model the teacher will continue working with the students in small groups; and children get to work on subjects in three different modalities so that each child’s learning style can be addressed. Drama and art clubs will continue. Free tutoring continues after school on Tuesdays. Art/gym/music will continue once a week. We will again have 2-UPK classes and a Pre-K 3- we have 13 enrolled already. We have made several physical capital improvements with painting the school walls, additions of pictures, updating of fixtures. The biggest improvement being the addition of air conditioning, which is set to happen over the summer. Recess – addition of hula hoops, ball, chalk, etc. We added Wi-Fi in the gym and all around the school. Class /educational trips-hands on learning- all will continue. Spring Fling- also known as, the parent appreciation dance, was a huge success! Faculty planned and executed a fantastic dance. Please be sure to attend next year. Website has been updated. Next will be the telephone messaging system. Doing best to not raise tuition- that is why so many fundraisers take place. Spring raffle/dance, plant sale, etc., all pennies count to pay schools bills. We have just about reached our goal. Anything we raise after our goal we get to use on whatever we want for our students. We really need new books in our school! Reading program- Reading Streets- might change to Journeys- we will re-evaluate. K-8 we use Go Math. We have enrolled approx. 50+ new families this year. Come September we will add- 67 new students. These students will be mixed throughout each class grade. Looking to incorporate STEM into our learning at STS. For instance- the topic of Recycling would be implemented in our science lesson, in our reading/ELA, etc. Want to add a free Breakfast program. Enrichment programs- an after school Lego Robotics program (6-8th grade) and an after school Chess Club. Students that are going into 8th grade- the iPAD program- may not be using the iPAD but will only use the chrome book. Waiting to hear more. 1. Will teachers remain in their current grade assignments? If there are changes, will we receive notice prior to the first day of school? No final decision has been made. Children will get a letter over the summer regarding their class assignments. 2. Will Art, Music & Spanish continue? How about drama & band? Yes. In fact, the band instructor will be forming a band with her students from all over Staten Island and using St. Teresa as her home base. 3. Any possibility of having a state test prep course at school? 4. Are there are going to be healthier options for school lunches next year? I think it is as healthy as its going to get. Send suggestions to Territo. 5. Will there be end of the year class parties? Can class parents attend? We will have end of the year class parties. It is hard to have class parents attend since each class has parties at different times. Nothing has been scheduled yet. We are considering asking for one flat fee to be handed in at the beginning of the school year for parties and gifts. 6. Will classes be collecting for gifts for teachers? If so, what about grade 8 since their last day is this Friday? Yes. Letters going home today/tomorrow. 8TH grade will have a special breakfast Tuesday morning where they will be able to give the gift to their teacher then and receive their diplomas. 7. Can a breakdown of funds be provided for the Spring Raffle/Dance monies? Everything we collect goes to pay the bills for the school. 8. Field day- I understand it was a big event at STS. Traditionally that is not what is done in other schools- it’s a student driven event. It’s a school day- for students and the teachers. It used to be a very expensive day and we can’t do that anymore. I would rather improve the school and continue with gathering donations. We can discuss making it more student-enriched with activities. There really isn’t a reason that the Mr. Territo needed to be more hands on- it wasn’t his responsibility. 9. Christmas Fair- can we add more/bring back some of things we used to have? That is a discussion to have with the new President, Mr. Brian Lyons. 10. Class Mothers- the way they are chosen. We can discuss having a different format for selecting class mothers. That is a HSA board member discussion. 11. Will there be more cursive writing- penmanship in class? Not a major concern or priority; common core does not feel it is- so we cannot focus on it either. 13. Issues with children acting out at lunchtime and volunteers not having any control/backing of administration. Simione is considering having a designated lunch person in charge of each class. Children will understand that there will be consequences for their actions. 14. Aftercare– there are always two adults in aftercare every day. Unfortunately grades cannot be separated. 15. Will Trunk or Treat take place again? Yes it will happen again. Please note that this Sunday, June 12th there will be a special Mass for Father Ken Riello, who is leaving the St. Teresa parish –a special 12:30pm Mass and then a reception to follow. Principal Simione is looking for volunteers for very important STEM meeting at the school on Wednesday, June 15th in the afternoon after school hours. Those able to assist- please contact her a.s.a.p. Meeting Minutes- May 17, 2016. Last official meeting of the full 2015-2016 HSA board. President (voted position), Vice President (voted position), Treasurer (voted position). If you are interested in any of these positions, please contact Principle Simione. May 25th – Drama Show (Gym)- $10 per ticket. Parents of students in the show will receive two tickets for entry to the show. -Other Business/Final Thoughts- Although the June HSA meeting is cancelled, Principal Simione, along with remaining HSA board members, will be hosting a June meeting, date TBA, to discuss the upcoming school year and any final business. President, VP, Treasurer, Volunteer Coordinator. Next Event- Annual Basket auction- April 22nd. Setting up after drop off- if you are available we need volunteers. Contact Jenn Costello. Items needed- liquor, baskets, scratch offs, lottery tickets. Contact Maria Bianchi if you can donate anything. Be sure to attend, it’s a fun night out! See our event page for more information. 31 new students to date- 2 more starting on Monday. New families can apply for scholarships and financial aid; existing families can apply for assistance from the archdiocese. Paperless communication– Moving forward, the school will partake in all communication via email. Everyone will need to submit email addresses by the end of the year. Blended learning is going well. Fundraising efforts will focus on a blended learning expansion to all grades. Re-registration– to be determined if it will be held online or will be charged through smart tuition. Artwork– Your child’s artwork is still for sale- $10 framed. Drama Club– Miss Nicole is only available at this time for one day per week so the club will be for 3rd graders through 8th graders. Free tutoring on Tuesdays from 3-4pm which has been working out nicely. Send a notice to your child’s teacher on any Tuesday you wish to have your child stay for tutoring. Tutors are STS grads and current students of Farrell HS. Robotics competition, Wednesday, February 24th at St. Joseph by the sea. March 3rd– School promotion walk from 3pm-4pm. More information to follow. Dress down for Autism Awareness on April 1st for $2. Dress in blue. Field day has been moved to May 13th– will include ALL grades and will be more age-appropriate for Pre K and Kindergarten students. It will still be held in the schoolyard and is for children only. Class parents and HSA board members will be overseeing the event. May 26th Art show/band concert. Spring raffle– the $100 donation that was charged to all accounts will be towards dinner/dance for 2 people to attend. Will include DJ and food on June 4th– adults only, BYOB. Last day of school is June 22nd with report cards distributed on June 17th. Chrome brooks– Dnated on behalf of Step Up and the YAA. Principal Simione will be sending home more clarification information home. The chrome books are not mandatory for purchase. These were purchased for in class use only. The teachers will be using for something that is called- “blended learning” which is when children are separated into groups and they take turns learning materials in different ways. Parents will not have to pay or purchase the chrome books. Principal Simione is hoping to eventually have 10 per class. Open board positions for June 2016– Still no nominations for President, Vice President, Treasurer or Volunteer Coordinator. Please be sure consider being part of the 2016/2017 board. Contact Donna Harkins if you are interested. Christmas Fair recap– We did fairly well this year with a little over $17k; which is only slightly less than last years total. Basket auction- Will take place on Friday, April 22nd, at 6:30pm. Set up will take place right after drop off in the morning, so if you are available we need volunteers. The items needed are liquor, baskets, scratch offs, lottery tickets, etc. Please contact Maria Bianchi if you have anything you wish to donate. More information on that at the next HSA meeting. Fun night out. Prizes, etc. 10th- 11th- Seussical the Musical – 2 tickets to musical if your child is in the musical, $5 per ticket for additional tickets. Snacks/water will be available for purchase. 23rd – Pinot’s Palette– Fundraiser $50 cash, First 50 people – 7-10pm- Must pay Donna Harkins ASAP. Brian Lyons- Save the date- 60th Anniversary of St. Teresa School Dinner Dance – at the Staaten, April 30th. 50/50 tickets are on sale as are journal ads. There will be a band/dj. To join mailing list, please sign up saintteresaalumni@gmail.com or for more information call Brian Lyons at 917-921-1517. Dress Down Flyers- 6-8th did not get- so we will be sure that you will get it. If you are interested in any of these positions, please speak to Donna or Ms. Simione. Voting will take place in February- Induction of new members will happen shortly thereafter and became live in June, 2015. Donations still needed- liquor, Santa Hats, Baskets, $1/2 scratch offs- contact Maria. BIG PRIZES- Hover board, Marc Jacob bag and iPad table. On Tuesday, October 20th at 1pm at St Teresa church grades 5-8th will be at a presentation regarding St. Teresa’s parents. Pope Francis is expected to canonize Blessed Louis and Zelie Martin, the parents of St. Terese of Lisieux. Suggestion box is out – no suggestions from last meeting. HSA Dues- are not mandatory this year to be paid. The fee WILL be deducted automatically from your account – BUT you can call the schools office and opt out. The $25.00 for the STS HSA is a very low fee compared to other schools which range from $65-$85. Starting next year, membership dues will be mandatory. Fun run fees- were mandatory in the past – was not this year. If you want to donate, please do so- submit checks to school office. Please contact Maria Bianchi if you can get donations from restaurants, Gift cards or other donated items. Parent Teacher Liaison Announcement- Tara Mineo is the go between Donna/Principal and class parents. December 9th– Dine out at Applebee’s (tentative) 15% back to STS all day long- must hand in flyer for us to get credit. No HSA meeting in December. 2- The STS website has an updated Homework page! ***Updated- 3- Halloween- Absolutely no costumes for grades K-8th. All students however will be allowed a dress down day and can wear BLACK AND ORANGE for Halloween! Pre-K through 5th grade will have in-classroom parties and will trick or treat in school yard. 6th through 8th grade will have a Halloween Party in the school gym! Flyers have been sent home regarding this event! 4- Pre-K- Some Pre-K families feel excluded in communications. Principal Simione stated that she would like to fully include the families and students as much as possible, but can only do so much. We can urge those families to join our FB page and stay active if they wish to attend events and activities. 5- Friday, December 4th will now be a FULL DAY of classes for the students since the Christmas fair is now being held the 4th through the 6th. December 11th is now a HALF day. Notices will be sent home regarding this change. The Treasurer shall collect all dues, maintain bank accounts, keep a regular account of all receipts and bills paid, present a report at each meeting, and submit a written statement at the Annual September meeting. Vote on it January. Holy Name- Joe Patella- President- Men of the parish, husbands, fathers, grandfathers, etc. October 25th– Spaghetti dinner $10 per adult, $8 per child- football game. Christmas tree lighting in December- families/organizations can purchase and decorate a Christmas Tree. The Holy name only meets once a month- one hour. No obligation to join. YAA- Antonio Antonacci- President- always looking to grow with new programs and sports- biggest and best on SI. Step Up Committee- Tami D. / Brian L- Visit http://www.stepupsts.com to learn more about Step Up. Please volunteer- Contact Jenn Costello- (917) 733-8604 or Jpuca112@verizon.net. Fashion Show- Was such a huge success and so much fun last year, we are doing it again. Kristen Letendre, Chair. Tuesday November 10th, Old Bermuda Inn, We need 12-15 Models, Donations, etc. Maria Bianchi- Christmas Fair- Donations – We need people to solicit stores for gift cards, donations, etc. Media Relations/Journalism Club- Christine Albano- Publicity for the school and parish, etc. If you have an interesting story about a student at STS or something you think is newsworthy contact Christine Albano. Journalism Club- 5th year for the school newspaper- open to grades 5-8 – # on website. Download shoparoo on your phone and upload receipts- quick and easy way to fundraise for STS. Boxtops Due before Sept 30th – Ziploc bags – send into school office. Donate soft nerf balls, hula hoops, chalk to the school for recess activities. Send it in with your child labeled for recess. Make sure you have paid the Family Guild dues. Speak with Treasurer Donna Lauser to find out if you are up to date with the $25 payment. Reminder, in order to be eligible for the end of year raffles- you must be current with this due. Basket Auction Recap- Over $13k Profit!!!! BIG thank you to the Bianchi family, especially Maria, for her tireless effort, dedication and hours of shopping, fundraising, and organizing! Plant Sale Recap– $1300+ in profit- Thank you Jenn Dattoli! Open Position with the Family Guild- Class Parent Liaison- Contact Donna Harkins if you are interested in the position. Description of position– Coordinates and assists the class mothers with their correspondence and overall duties. They liaison with the guild officers and attend board meetings to relay information to the class mothers regarding events and activities. Assists with the purchase of the teachers gifts at the end of the school year. SI Yankee Game is cancelled for the end of the school year outing. Announcement of Retirement of Principal Catherine Dempsey, Mr. Kathleen Laurie, teachers Mrs. Mary Haggerty, Mr. Robert Miller, Mrs. Sharon Venturella and Mrs. Maura Wood as well as our plants manager Mr. John Lotesto. See official letter from Principal Dempsey that was sent home on May 22nd, 2015. Girl Scouts need T-Shirts- can be in any condition- send to the school! Msgr. Belford spoke regarding the news of STS joining regionalization. Family Guild funds do NOT have to go through regionalization. Contact Jennifer Costello to Volunteer for the event. Suggestion box is once again available. Reminder- Pay your family guild dues before the end of the year please. 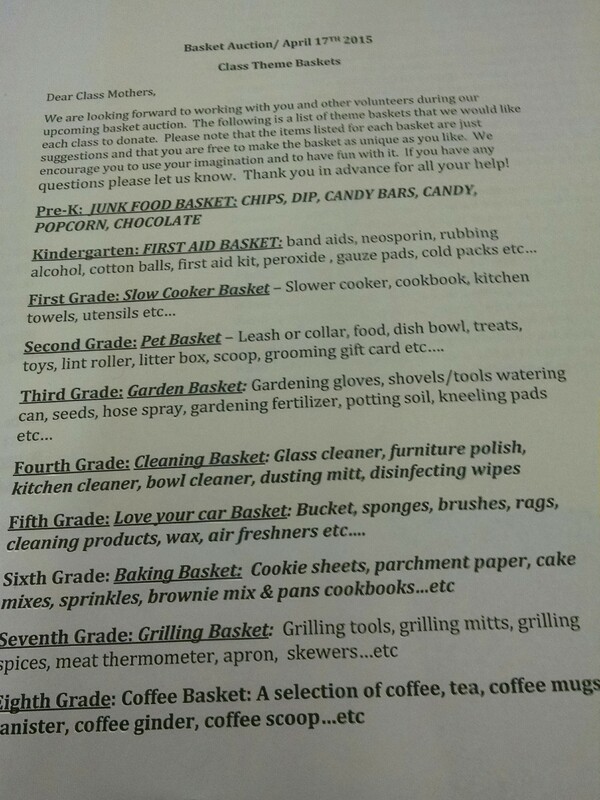 Class baskets for Christmas Fair- please send in money to your class mothers. 50/50s collection for Christmas fair is already at $835.00! It was a great night! Kristen Letendry did a great job coordinating and running the event. Surveys have been sent out so be sure to complete and send back in. So far the feedback is great! After expenses- total raised from event- $10,200!!!! Please sign up- we need volunteers – especially from 3pm-6pm on Friday. Decorating windows- see Maria Bianchi. We are asking those to come to school on December 3rd after 3pm and December 4th all day. Vendors can come in on Thursday between 5-8pm so they can set up. We will have people to guard the items overnight. Basket of cheer items- liquor, wine, etc. Items for the baked from the heart table- any baked goods- please bring in. Thanks to Bernice and Suja for putting together the new and improved STS Uniform Closet, which now has all clean and organized traded in uniforms. Be sure to bring your gently, no longer used uniform pieces to donate and then browse through the closet to see if anything there can be used by your family! Sizes from Youth Small to Extra Large! Suggestion box is available once again- so please be sure to put in any suggestions that pertain to the Family Guild. *As a reminder, we cannot resolve or respond to suggestions that have to do with the classroom assignments, testing, school operations, etc. Ideas for fundraisers, committees, and items to be sold at events, etc. are what we are hoping people will be providing. Shortened Response- Monsignor Belford- This is something that has been discussed previously with the finance team and committee members and due to many things being taken in consideration, weather, parking, outreach, attendance, etc., there are too many variables to agree to do this at this time. Coffee with Principal- Principal Dempsey has once again begun the coffee with the Principal for the 2014/2015 school year. Sign up sheet is available. The date is TBA. For those that signed up, Principal Dempsey will contact directly when she has a date set. Fashion Show – Girls Night Out– For all those that RSVP’d and think they will be attending, please have payment in ASAP. $60 To Kristin Letendre. Halloween Activity– Family Guild is happy to introduce a new event for Halloween. We will be hosting a Halloween Movie Party for grades K through 5th. All K-5 students will take part in a movie and snack event in the lower church hall (Cafeteria). The movie that has been chosen that is suitable for all ages, and hopefully enjoyable, is Halloween Town; a G rated family friendly comedy! Please let Donna Harkins or Maria Bianchi know if there are any issues with this choice. Peanut free snacks/goody bags will be given out. Family Guild Dues– In order to participate in any raffles the guild provides throughout the year to our families, you must be current with the payment of the Family Guild dues. Volunteer sign up sheet is available. Please try to volunteer your time. 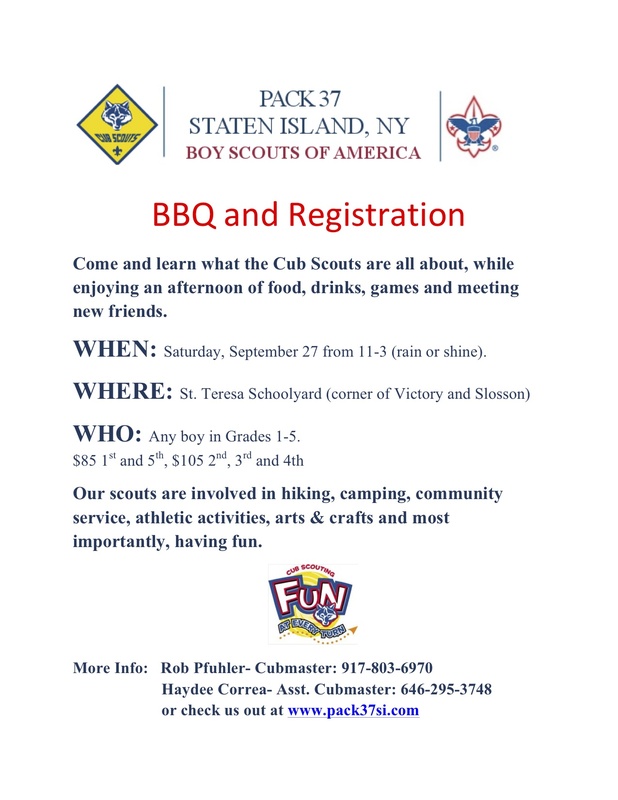 Contact Jennifer Puca-Costello if you would like to sign up. Donation Requests– Anyone that would like to go around to businesses and ask for donations, please see Maria Bianchi for those forms. Baskets, Liquor, Stockings, $1-$2 lottery tickets- Anything new that you have to donate. Family movie night- The Family Guild would like to start a new tradition- Family Movie Night at STS! In the new year we would like to have a family movie night where STS families come with blankets and chairs to watch a movie with their children! Mother/Son Outing– Dianna Purcell- Last year family guild held an opinion poll as to what mothers would like to do for the mother/son outing- the most desired out of the choices was the Medieval Times dinner and show. We have reserved Friday, March 6th at 7:30pm for $40 a person which includes the show and dinner. In addition, we have arranged to stay after the show so that we can have dessert and the Rose Ceremony for the 8th grade mothers. We are also considering renting a bus for the event, which would most likely bump up the cost per person to $50. For booking a group, we will receive 10 complimentary tickets. Mothers who have more than one son and are current with their family guild due payment are eligible to win one of the complimentary tickets! For any questions or concerns with this, please contact Maria Bianchi. Father/Son activity– Rob Pfuhler will be heading this committee and should have some updates as to what would be planned for March 2015 for the father/son activity. Please email him at rpfuhler@connorslaw.com if you have any questions or comments. Joe Tirone- an STS alumni running for State Assembly. Welcome from Donna Harkins, new President. Suggestion box is back- will review and provide Mrs. Dempsey whatever responses are meant for her. Edible arrangements- we get a percentage back and discount for the person ordering. Labels for education – we get credits for this which we give back to the school. Principal Dempsey- Thank you for coming out and wishing everyone a happy new school year is wonderful and enjoyable year. Presentation of gift to Ms. Tami DiCostanza for all that she has done from the children of STS. Benefits of participating in the Family Guild- #1 reason- is our kids love seeing their parents here- please join in- it’s a good time- volunteer whatever time you can. Other perk- N.U.T- No Uniform Today card- As per Principal Dempsey, the NUT cards will not be given out at the beginning of the meetings but at the end. Step Up Committee- Tami DiCostanzo- This is a committee created after the spring fling was cancelled; fling is something the faculty put together and was cancelled since not much participation. A committee was then formed with Joe Territo as the lead on behalf of STS. This committees mission is to highlight STS church, parish and school and provide fundraising activities for all. First thing that they are doing- FREE parish picnic and family fun day- everyone is invited, October 11th. Be sure to respond so that they provide enough food and beverages. Best by far on the North Shore.- Basketball programs intramural and CYO. Spaghetti dinner, Sunday, October 26th 1-6pm Hearty Italian meal- break bread and have the opportunity to get to be part of the community. Work with the school- annual spelling bee, anniversary breakfasts, candle light procession, Christmas Tree remembrance- every family can buy a tree. Meet once a month, second Monday of every month at 8pm. Encourage all fathers, husbands, brothers, etc who want to get somewhat involved. 10/13 is the next meeting and hope that many can make it. Not just cookies- a lot of community service, and activities. Hoping to start a Kindergarten troop- looking for a leader. Gets boys outside of the house away from the computer and with children their age. 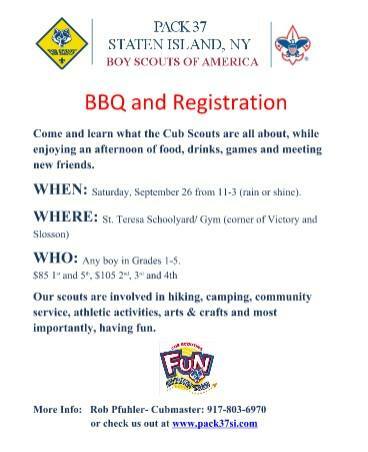 Cub scouts is fun- many great activities- an overnight at the Intrepid, archery, hikes, etc. Affordable- 12 month activities – you can do scouting and sports. Scouting- skills and values. Grades 1-5. With the funds we have updated reception area, provided new chairs for all classrooms, purchased textbooks for certain grades and much more. We need vendors for the Christmas Fair- if you know anyone who is looking to sell at the Christmas fair. Allison Cuddy- Chairing events- proposal form – if you are interested in chairing an event. We are going to have surveys at the end of each event. The Read Aloud Program is for K – 3. Contact Dawn Carcaterra at # 917-608-5818 for more information. Media- Christine Albano- Basics of journalism, press releases, guest speakers. Meet every other Monday in reading room. National association. Twitter page, word press page, possibly digital online. 6th through 8th grade. Have a yearly festival like the Greek Festival to generate money. Our parking lot is plenty big enough. 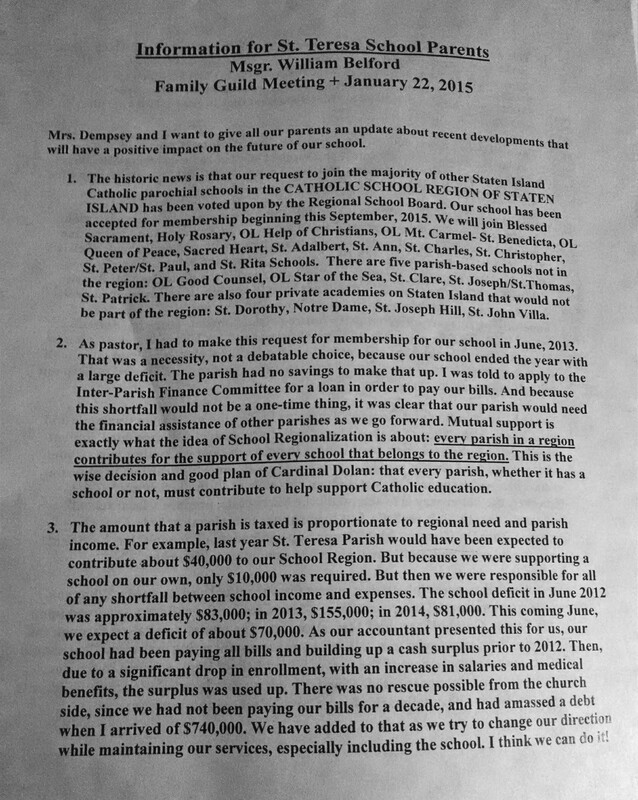 Monsignor has been thinking about it and has discussed it with finance and parish council members. You need many elements to make a festival successful including: lots of visitors, willingness to put up money in advance, many reliable volunteers, lots of parking for visitors, lots of security, and very importantly good weather. People decided that there are too many variables for us to try this. Monsignor agrees with them, especially after experiencing festival in some of his other parishes. Regarding the 7th and 8th graders needing new IPads for the school year. $250 a year. St. Joseph by the Sea asked us to partner with them and a few other catholic schools- to allow one of their teachers to come to our school once a week to instruct using these online courses (reading- literature, science etc) via the IPad. This will assist to help expose our students to HS coursework. Question from parent- What about the IPads purchased last year? What can be done with them? These new IPads will be configured and monitored with special software. So due to security issues we may not be able to use them – their interface with the technology from St. Joseph’s. Plans for next year- board will meet and tweak the events we had for last year. Guidelines for upcoming events- Allison Cuddy, new special events coordinator, she will be the go to person for events, fundraising, ideas, what dates work, venues, etc. Sound board on what you want to do – or something that is in place. Kristen Letendre- Chair- Fashion show- Girls night out– Since most STS families are tapped out- why noy have an event for Moms night out? A hollywood night, dinner, dancing, runway carpet. Attract outside people. Considering, Monday, November 10th– Veterans day next day. If we promote enough ahead of time, with a Save the Date flier, people can arrange to have the next day off so they can attend. Other schools have events like this- and make a lot of money. 8th grade $500 scholarship Award- Awarded to a student going to catholic HS who did not receive any other scholarship was won by: The Carcaterra Family and the Obrien Family. Class moms on Tuesday (12pm dismissal) should be here at 9am through 10:30am for all class parties. Did you see the video of Borough President Oddo at St. Teresa? Click here to view it on NY1. Invest in us – Tuition Assistance Program– last year we started the scholarship program for families who needed assistance with tuition. We wanted to give back to people who needed it. Only three families applied- this year, 6 families applied and we have provided them the scholarships. We feel that it has enabled us to keep some families in a school that would have otherwise left due to financial issues. This year we brought in a record breaking- $17,525.00. Extraordinary accomplishment for a one day event. Plant Sale- $420 after expenses- we did better last year. Surplus of plants, numbers weren’t as high as previous two years. Rethink some ideas on that. Invite parents to attend- more plants will be sold. Events- New ideas for events are gladly accepted. Hoping to have back our fashion show. About three years ago we had a fashion show- children were the models- great event. Kristen Letendre will chair this event. Committee members will be needed. If interested, please email stsfamilyguild@gmail.com. We had made about $6,000 last time- but its not about money making but for the great memories. Letendre Family will donate dresses – event to take place most likely in October 2014. Physicians assistant program at Wagner– starting in September – PA’s from Wagner College will come to STS and provide science program- sharing things with our children – paired up with children based on their levels- kids will hopefully then go on a field trip to college- get interested in science. Year end parties- Class mothers– Julie C, class mom liaison. Class moms please be sure to see Julie- see her she has the letters to go out for the end of the year parties which will take place on June 17th . The money will be collected and then sent to family guild and then it will be given out accordingly to each class. Family Guild will provide bagels and drinks for each class party. Then the classes can bring in things they want. Pre-K and K- have their own party. Family to family directory– updated. Reviews on STS- – Many sites on the web can provide reviews on STS- we are asking that everyone go online and post PPOSITIVE ONLY reviews on STS. GREATSCHOOLS.ORG. Negative reviews- speak to Dempsey at the next coffee with Principal – she will hopefully schedule one more before the end of the school year. Ideas/Comments- Maybe offer 8th grade girls scouts that are CPR certified to use their community hours to watch the children of the parents of STS either at the school (if allowed) or arranged at the parents home so that more parents can attend meetings. Donna Harkins to check with Principal Dempsey if this is an option. Family Guild raised more funds then we had in previous years- so we created a tuition assistance program. We call it “Invest In Us”- it is available to all families who have a financial need and provides a discount of $20-50 a month to the families. This year we once again have it available. It is completely confidential- submitted to Mrs. Dempsey- and no one is notified or told if you apply. We understand that some people had issues with supplying the necessary documentation to support the application so we updated it to not be mandatory to submit the application for review. REMINDER- Basket Auction- 3/28TH- Great fundraising event. Setting up Thursday night or Friday morning- we need volunteers- contact Jennifer Costello to sign up. The café will be open- Lent Menu- so anyone who wants to donate food, please contact Christine LoPorto. Thank you to our volunteers with a special little heart with chocolate. -Meeting to switch from 7:30 to 7:00pm- unfortunately we cannot since the Boy Scouts are in LCH and for clean up and change over the time cannot be changed. -Complaint about a gentleman that roams the parking lot- Mrs. Dempsey has asked that he refrain from coming but there are obviously some things not in her control. HOWEVER, if anyone has any concerns or questions about this- since this is NOT a family guild responsibility, we suggest you attend the Coffee with the Principal on March 6th and raise this issue. Father daughter dance- The chair people will try to everything they can to not cancel. If it is to be cancelled it will be a last minute notice through the IRIS alert system as well as our Facebook page. This previous snow storm proved that there was an issue with the IRIS Alert system – Mrs. Dempsey will work on making sure that it doesn’t happen again. and Jennifer Calvo as Special Events Coordinator. Nominee – Donna Harkins has been nominated as the new family guild President. Christine LoPorto will maintain as communications/minutes, etc. so no need for a “traditional” secretary. New special events coordinator nominee- Alison Cuddy. Fundraising coordinator position is open. The positions that are vacant and candidates that would like to be nominated, should do so by the next guild meeting on March 18th/19th. Feedback on the fair- things that you thought worked, ideas for improvement, new sections? – Things to occupy the kids? – Sell a NUT card to kids? Dempsey will think about it. – Were the days/times better? – Volunteers- How to better delegate volunteer time? – How to better engage volunteers? Incentives? Maybe for each parent that volunteers gets a point and the cumulative amount for each class gets a pizza party? Maybe make the form for volunteers electronic? Classically known as a Chinese Auction- baskets filled with gifts and prizes. Maria Bianci, Rosa Dove and Rebecca Squarrito– Chair people of the basket auction. Volunteers- Need help setting up, selling tickets, deliver prizes, collecting donations, putting baskets together. Pre-register for a table- form will be sent home. Café open- Lent menu with special packages/alcoholic beverages will be served. No one under 18 permitted. Upcoming Events- See agenda above. -After school – workout for kids? No place to host it. Dempsey will look into it. Workout dates and times- A parent who is a certified trainer/weight management specialist- will provide a full body work out class for a $10 donation per person that will be given to the school. The classes will be on February 7th, 14th and 28th at 8:30am, one hour each day in the gym. Click here to review the minutes of the November 14th Family Guild Meeting. The annual mothers day plant sale was a success.Gave the children an opportunity to get their moms and other important women intheir lives a chance to get beautiful plants and it raised almost $1200. Thanks to chairwoman Jenn Dattoli and her assistants Suja Perera and Liz Mascolo for all their hard work. This event was the highest grossing basket auction to date. The success of the event could never been done without the assistance of our chair people-Maria Bianchi, RosaDove and Rebecca Squatrito. ·Color coding tickets- better way of separating theareas so people aren’t putting wrong tickets in the areas. 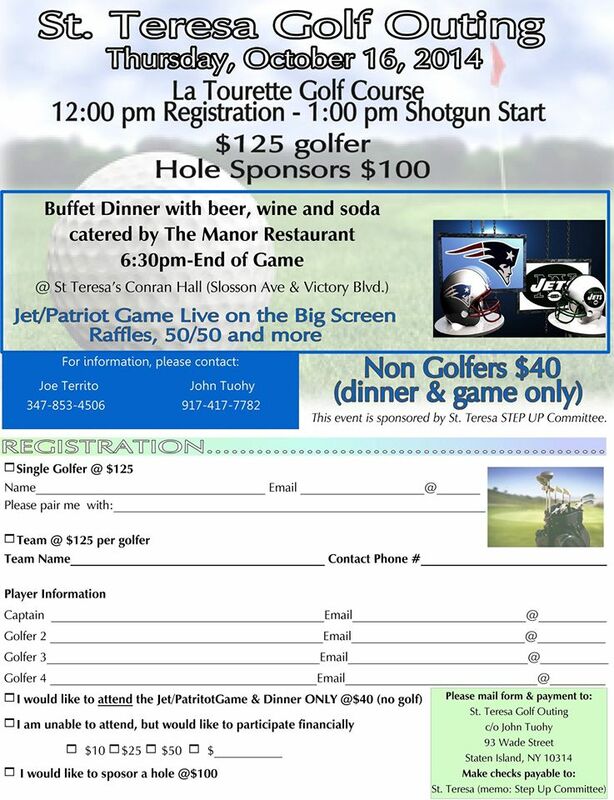 Staten Island Yankees St. Teresa event to be held on June 19th. All order forms for tickets are due back into the school no later than June 5th. The class that sells the most tickets will receive a FREE pizza party. All students that attend will receive a free entry into the kid zone and various other goodies. Read Aloud Program– This new program was kicked off in January of 2013- it provides grades K through 3rdgrade a once a month visit from a parent/guardian to come into the classroom and read a book and then create an activity to go along with the reading. This program will begin again in October of 2013. If interested contact Dawn Carcaterra at (917) 608-5818. May 31st and June 7th-Fem Sculp- registration information went home last week. June 18th – Class parties grades 1-7- 9:15am-10:30am- dismissal at 11am on this day. June 19th– Staten Island Yankees Game- tickets MUST be purchased by June 5th. Let me set the context. I didn’t want to just mail something – wanted us to meet in person so we can discuss. Understandable that there is some upset. With the increase in tuition we need to provide more information then just numbers and let everyone know there is a path out of this. Presented packet of information.Click here to view. The numbers are daunting- we have been worried about them for some time. We are struggling to keep our school- to keep our community and the tradition of the school. We are trying to make a path so that we can move ahead- but it’s not without looking at the past. The packet includes information assembled from the past ten years. When you look at these numbers you can start to understand. Population was once over 600 – and then went on a decline pretty steadily; partly because there were two classes- and then we had to consolidate and move to only one class per grade. We are projecting a loss of 19 this year. We have a very large graduating class. Expenses of the school- budget is 1.5 million- which is a significant number and pretty much locked in. Based upon contracts, benefits, and salaries for teachers, administration and instructional expenses make up more than ¾ budget of the school. The rest is assigned to utilities, activities, insurance, and repairs, which brings it to where it is. If there is anything we could have eliminated from the budget we would have. Regionalization– we are not in the region at this time- but if we were, our exposure to this large debt would be much less. The services that we receive would be very significant to complete the goal of getting us out of debt by utilizing their resources. Our church is unable to support the school. If the church had the money to put out to the school, then tuition would be less. But we have no other way of doing this. The idea of the region, instead of this being a parish school we become part of the archdiocese. Each school within the region helps each other. I am responsible for the financial payments for both the school and the church. When we had nothing in savings to assist the school- I had to call and ask for a meeting before the board and present our numbers. No one wants us to fail. There was a loan authorized for the school and the church. $78,000 for church, $63,000 for the school. We at that point were also told to apply for regionalization. We applied- but we were told that the pilot programs, which started 3 years ago, have to freeze any new memberships. The parish is doing better now, but we are not doing a great deal better. When we asked our accountant to give us numbers he projected at least $100k for the school in the red, and about $17k in the black for the Church. Whatever we take in we pay for the Church expenses and then what is left over we will pay down the debt of the school. The parish is supporting the school. We are not in the region now- we have to go it alone. 2015 we will be likely in the region. Pathways to excellence- We have the strength to succeed- but if we have a regionalized board that goes out and makes money then that board is responsible to create this new source of funding for us. Every parish is assessed – for supporting purposes – because we have a school of our own we contribute a percentage straight to the school but a smaller percentage to the region. I have had this experience before to tell people news that is unpleasant. The population of the school is no recent decline- the reasons people don’t come to our schools are multiple- not as many children, not as many catholic children, don’t like the location, unhappy experience with the teacher- always in the process. Our job is to make it as attractive as possible. We must treat each other with respect- charity, kindness, striving for excellence. You have before you some information to see that for us to be able to pay the bills we have to project for this enrollment- so we ask you to sacrifice more- and contribute to pay for the tuition. The floor is open for questions. What is the cut off number- for STS being in danger of closing and who makes that call? Ultimately it is the cardinal who has the authority on closing of schools and there are many variables in which he assesses this. We are not closing. How do we cut our debt? We try and pay our bills. We don’t want to keep raising tuition. We want you to see the bright spots – you may find fault with certain things at the school, but you must see the big picture: what are our children learning? What are the values that we are teaching them that stands to be good for the long haul? We are living in a society that does not praise the Catholic values. Having the children come to mass- they are understanding it and taking those lessons back to the classroom and then home. We are not going to stand equal with public schools or a private school. Why so many substitutes- we are paying tuition for substitutes? Principal Dempsey responds- This is contributing to our debt and our students do deserve to have steady teacher. As principal I have been here since 2000- and never has there been such an instance as that within the past 2-3 years- mostly due to illness; and unfortunately there is not much we can do. We are bound by contract to give people the opportunity to come back to work and then we must evaluate the situation upon their return. Some of the deficit is because we had to pay for sick leave and salary for substitutes. We can’t fire or terminate someone for going out on sick leave- because it’s a law. On the same token- it is my responsibility to provide the best education possible so I try to do what I can within my means. BIG RUMOR- that we are going bankrupt- therefore people are not sending their children to STS. Principal Dempsey responds- I am very good friends with the former and current principals at St. Rita’s – we often go out to eat and discuss these rumors. There are rumor mills. Whenever you give out financial information- some people take it as doom and gloom and some work on it and fight. We are not closing, that is not writing on the wall. The regional schools were supposed to be giving out their tuition information- but they all too will have tuition raises- maybe not as significant as ours- but no one will not be able to not raise tuition. Financial stability is a reality – schools in the region, no longer taking money from the parish- but from the region and are slowly making a comeback. All numbers will be changing- the unity between parish and school has always been there- but the church has not had the funds to assist the school as it has in the past. If you hear a repetitive rumor, please let me know. Why not apply for UPK- We previously did and were denied. They stated our program was too academic- they didn’t like that we gave instruction or had a gym program and computer program for the Pre-K students. Additionally, they wanted us to pay $50k so we can make Pre-K entrance handicap accessible and they didn’t approve of our playground area. As you will notice we have lowered the Pre-K tuition rates to hopefully entice families to come to STS. Why did we have to purchase art supplies when our children haven’t even used them? Hold on to the art supplies- mistake by the art teacher. A grant funded art instructor- that the people wanted the program. It wasn’t looked at closely enough. 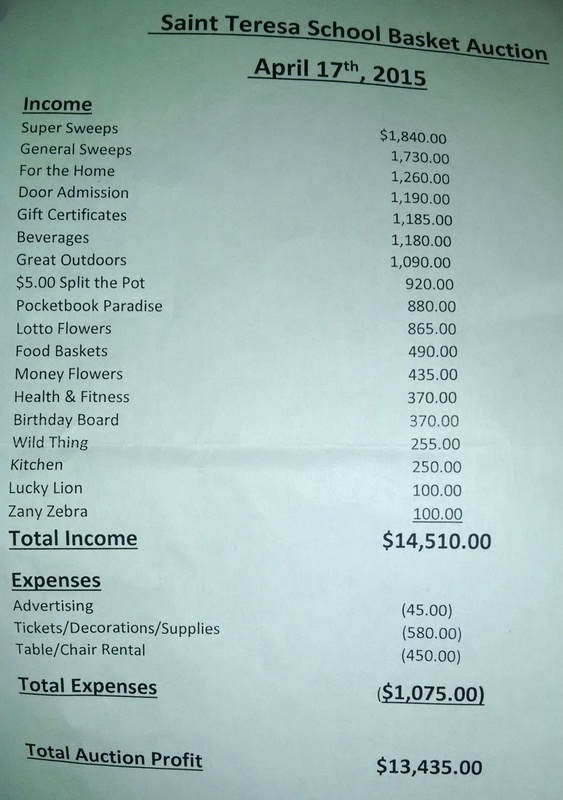 If I had seen the cost of the items on the list- I would had told her to do something else. Hold on to the supplies- assuming art program next year- they will be used. Can we try to involve Alumni in school tours in recruiting new students? Two of my neighbors recently went to the Open House and said they wanted to hear from Alumni and Parents of current students. Can you please ask about after school fees? Last year it went up and we didn’t know about it until right before school started. Also, if tuition goes up and so do after school rates, it really adds up and becomes more of a hardship for those of us who are already struggling financially. After school program originated 8 years ago- we hadn’t raised it in all those years- if you do the breakdown- 2:30-5:30- $8 an hour for one child $12 for 2 and after 5:30pm, its $5.60 an hour to watch child. Hourly cost- is not that much- you wouldn’t be able to find a babysitter for that cheap. We do not turn a profit off of offering this- we do this to help support the families that attend STS. How do you expect parents to talk to other parents about STS? We don’t offer language we have to pay for art and music. We have the highest tuition on the island. All schools have fees that cover the art and music- they just call it something different. But yes, some people have left and gone to cheaper Catholic schools. The big picture- it’s expensive to run a school. The amount of money we need to do this is high. We can’t speak about who left and for what reason. This was a best effort to provide you with the information. We are making the future but will not predict it. We were led to believe that we didn’t need to be in a region school- we weren’t going to be a regionalized school- we were led to believe we were doing great- and we are not at all. What can be said about that? We have given you as much information- there was a value in not joining at the pilot 3 years ago, but now we have no choice. Cut the cost of Pre-K tuition. Younger parents in community see our PreK/K- mommy and me program? To offer extra things after school- science club, health and fitness club. Make the school provide more for the return on the families’ investment. Start a marketing and development team- we have to sell our story. Mrs. Dempsey and Msgr work with us. We have to have the best product possible- but not invest a lot of finances. Magnets- signs on the lawn- Many people didn’t know we had open enrollment. We need to sell the strengths of STS- sense of community, values, academic excellence, etc. Why do we no longer offer foreign language? The superintendent does not push having a foreign language- when the child moves on to HS- they usually have to pass a test otherwise they must take 40 minutes of language instruction everyday, for 2 years. So what we were doing with our language program- initiates them into a language- but was not enough to give them an academic push into the HS language courses. But what we will focus on is the honors math and other areas that can provide academic advantages in HS. It’s almost impossible to state we have the best teachers. A lot of us feel we can’t promote our school because we can’t state we have the best teachers. Under contract and union rules, once a teacher is tenured its harder to release them. Obviously there is certain criteria- criminally negligent- grounds for automatic dismissal! But to prove incompetence- takes a period of time. Every teacher is subjected to an evaluation. REMINDER- Basket Auction- 3/28TH– Great fundraising event.